I love walking into my classroom before the start of the new school year: floors mopped & waxed, desks scrubbed down, and the smell of clean! It's not long, however, before the room is once again sprinkled with dust, floors scuffed, desks sticky and doodled on. . . sigh. 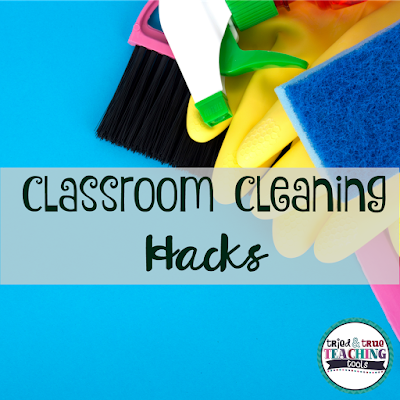 . . in comes classroom cleaning hacks! When a substitute accidentally wrote all over my SMARTboard with a Sharpie. . .these tips would have come in handy! Yikes! There are few things that make the school day—and the school year—feel longer than a classroom that’s cluttered and disorganized. And with so many students and so many activities across a range of topic areas, it can be hard to stay on top of paper, supplies, equipment, and more. But a few cleaning hacks can help get rid of dirt and debris while it happens. Some of the clean-up tasks are ones that kids can help with—organizing math manipulatives, for example, or helping to cut the germs when possible. For others, simple reminders keep whiteboards clean, glitter from going everywhere, and electronics from being overwhelmed with smudges and fingerprints. 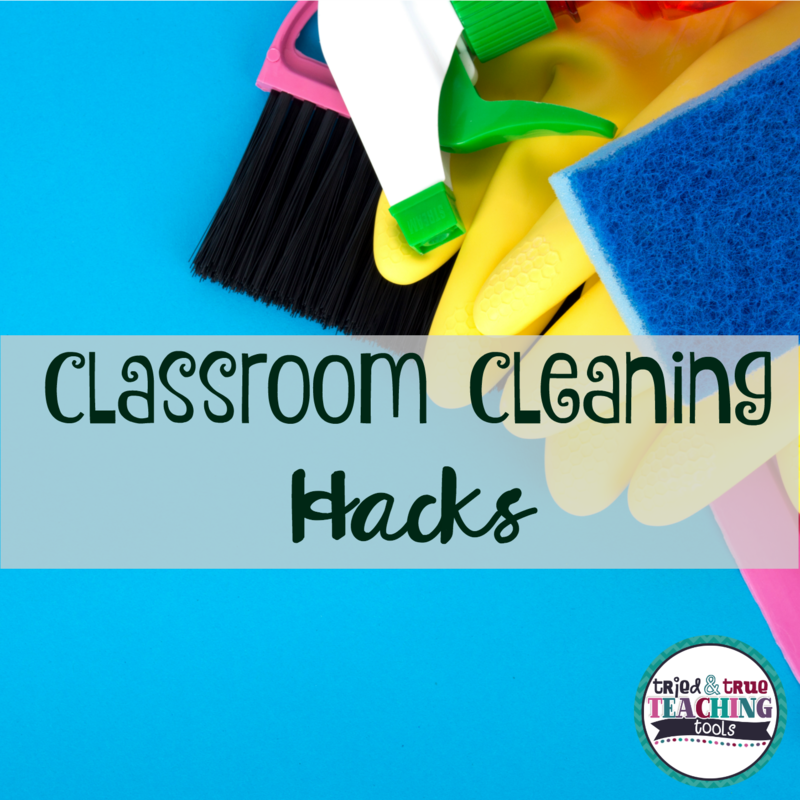 Want to get started on a cleaner, less cluttered classroom? Use this graphic to learn how. And if all else fails, my FAVORITE cleaning tool: Mr. Clean magic erasers. They pretty much will take off any stain!! You just wet the magic eraser, squeeze out the excess water, then rub it on the spot, marker, dirt, etc. Voila! Clean surface! To read more about keeping your classroom environment optimal for learning, you can read about The Case for Cleaning here. Here's to a sparkling new school year! Thanks for the tips. I really liked the trashcan one and having a classroom helper swab things down for germs. They would love doing that. Have a great back to school! Parents are always amazed that their kids can clean the classroom so well, but they wish they'd clean at home, too! Lol Thanks for stopping by, Heather!